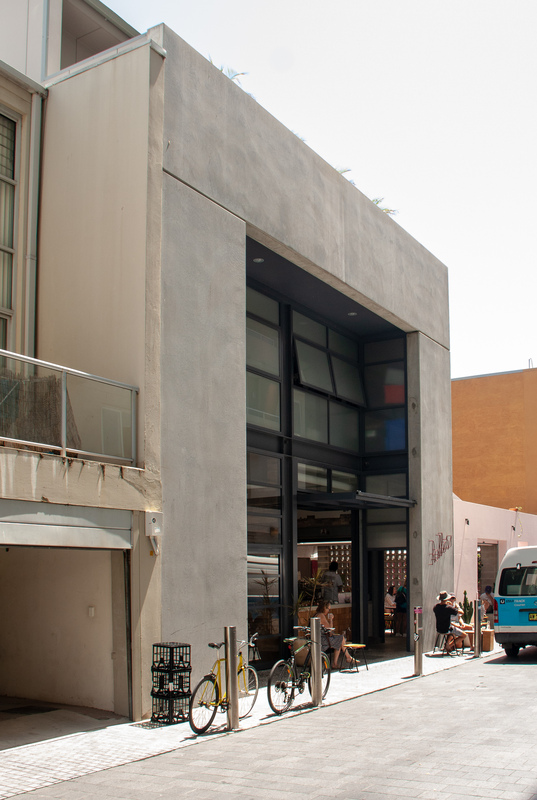 The rear of Nos 82 – 84 The Corso was under utilised and there was opportunity to fully utilise the Floor Space and potential three storey height limit. The new façade and entry off Rialto Lane creates a dramatic portal spanning the double frontage. 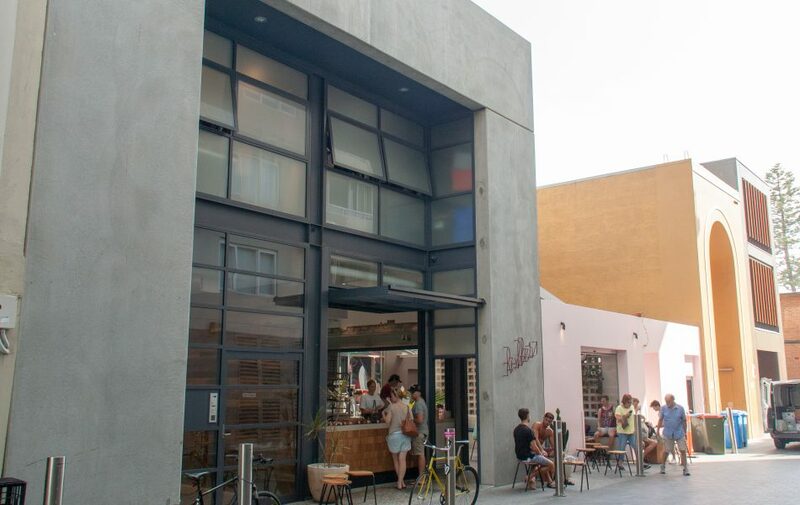 Subsequently BJA have gained Council approval to replace the loading dock with a popular bakery café and adjoining courtyard that revitalises the laneway. The development achieves an additional level of office space and an extension to the 2nd level back of house retail.